It's the new year, which means most of us make big lifestyle resolutions we swear we're going to keep. We start out strong, completely revamping our diet, working out 5 days a week and drinking green juice by the gallons. However, by the time March and April roll around, we start to slip back into old habits that are comfortable and easy. Most people don't keep their resolutions because they require too much work or such a life overhaul that they're unsustainable. This year, I challenge you to make SMALL changes that will still have a BIG impact. Check out my MBS Quick Guide for tips to get your 2016 off to a healthier start! Click the image on the right to download! 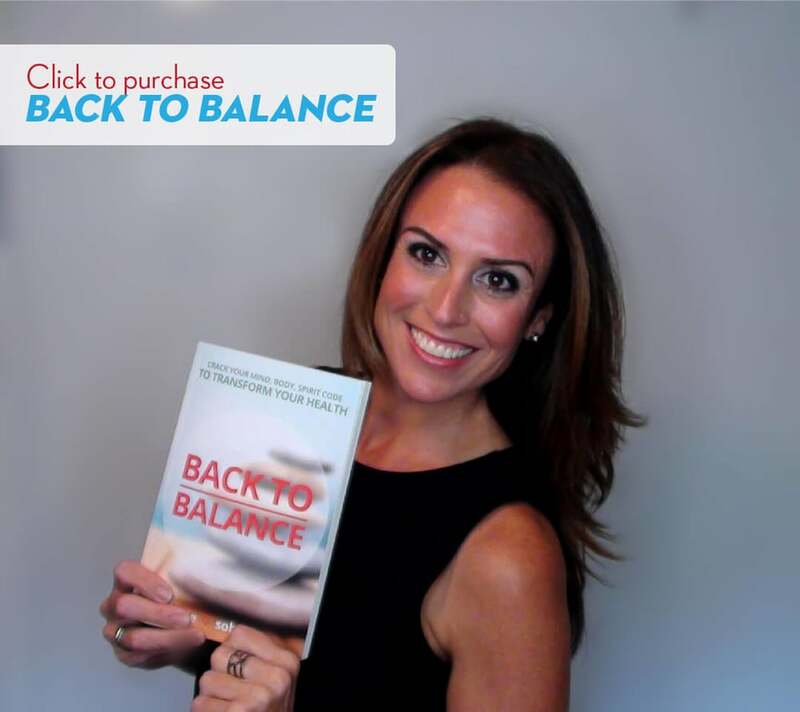 Back to Balance: Crack your Mind, Body, Spirit Code to Transform your Health, is a quick and easy read to get you motivated and energized to start making real changes in your life! In it I share my personal journey to a more balanced life, along with realistic health tips and tricks that are easy to implement into your life. Perfect for an airplane read or day on the beach! Click the image on left to download your copy today.